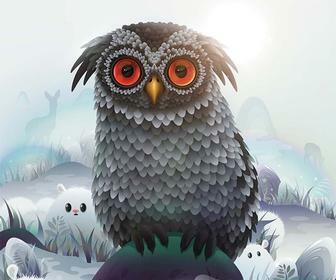 Adobe has given us a sneak peek at what it calls Diffuse Gradients. 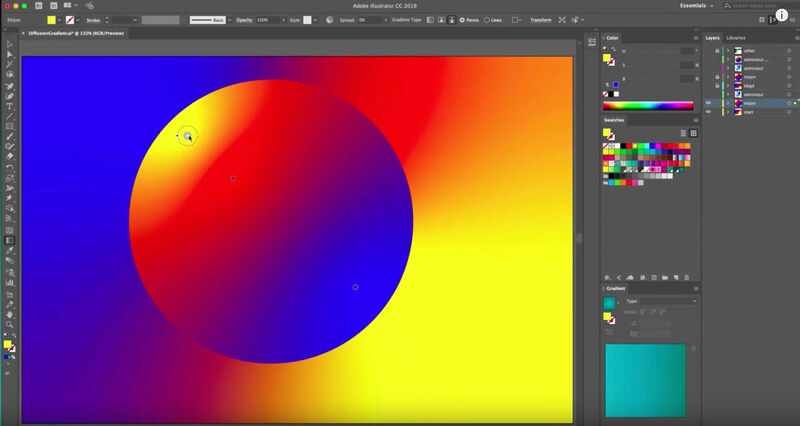 Adobe is adding a new type of gradient to Illustrator, which it says makes it easy to create natural-looking blends between two colours – even contrasting ones. Illustrator’s Gradient tool currently lets you create two types of gradient – Linear and Radial. 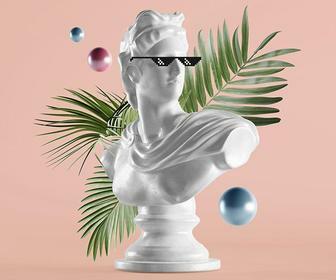 You can use the Gradient Mesh tool to build more complex gradients, but Adobe acknowledges that this has a “steep learning curve”. A new version of Illustrator coming later this year will add a third gradient type that you can select in the Gradient panel, Diffuse, that creates blends that Adobe refers to as ‘organic’. To use the new Gradient Type, you select it from the drop-down in the Gradient panel (below), then select colours and points for those gradients to spread out from – merging as they meet. You can adjust the intensity and transparency using on-screen controls. The gradients are aware of the boundaries of shapes and will blend with its contours. You can draw with lines and curves to affect how and where the colours interact with each other. 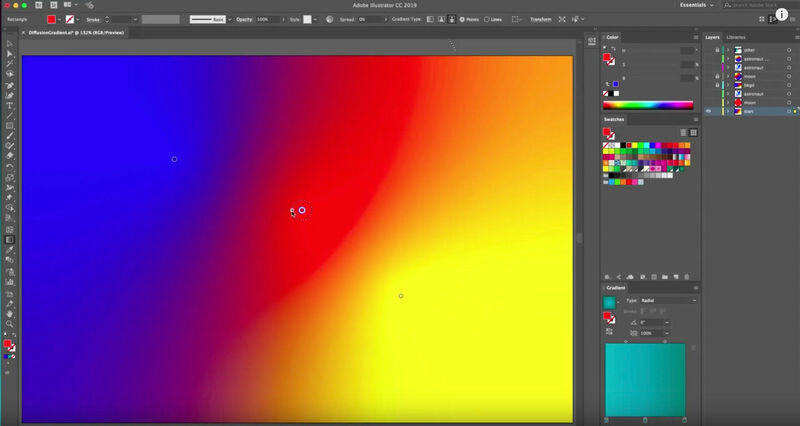 This video shows the new Gradient tool option in action. Adobe hasn’t said when it the new Illustrator and XD release will ship, though we hope we don’t have to wait until the major Creative Cloud update the company launches every autumn to coincide with its Adobe Max conference. 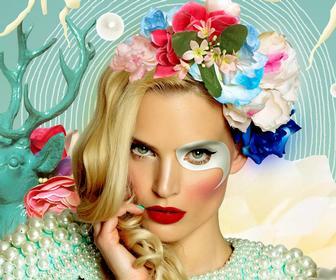 At Adobe Max 2017, Adobe added a new Puppet Warp tool under the Free Transform tool - a vector-specific version of the tool of the same name in Photoshop. Adobe has also shown off new features coming to its Adobe XD UX design software, overlays and fixed elements. You can learn more about this here.